March 12 will always be my mother's birthday. I went to dinner with my daughter and mentioned this anniversary. It has been almost five years since she died in April 2008. In the normal course of my life, I don't think about her often, but on holidays and on her birthday, the full force of those last years of caring for her returns to me. Her humor and her strong desire to be with us is still vivid in my mind. She would not want to return to Sunrise after spending Christmas or Easter with us. Once when I told her I was driving to Colorado, her home, she demanded to know: "Is there any good reason why I can't go with you?" Well, yes, several good reasons: the wheelchair, the incontinence, the need for oxygen at the high altitude, the constant care (probably too much for me). Of course, she didn't remember those things--she just remembered that she belonged in Colorado. 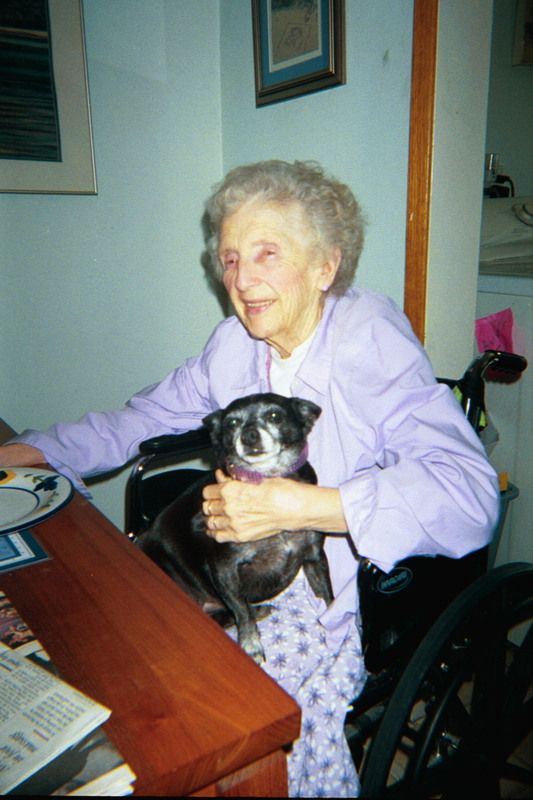 She would have turned 94 this year--but she would not have wanted to live with limited capacity and with caregivers bathing her, feeding her, and changing her Depends. Thus it is well that she is gone, but the mystery of someone being fully involved in life and then suddenly absent still haunts me. This is the human condition: we have a limit... our lives have a beginning and an end.